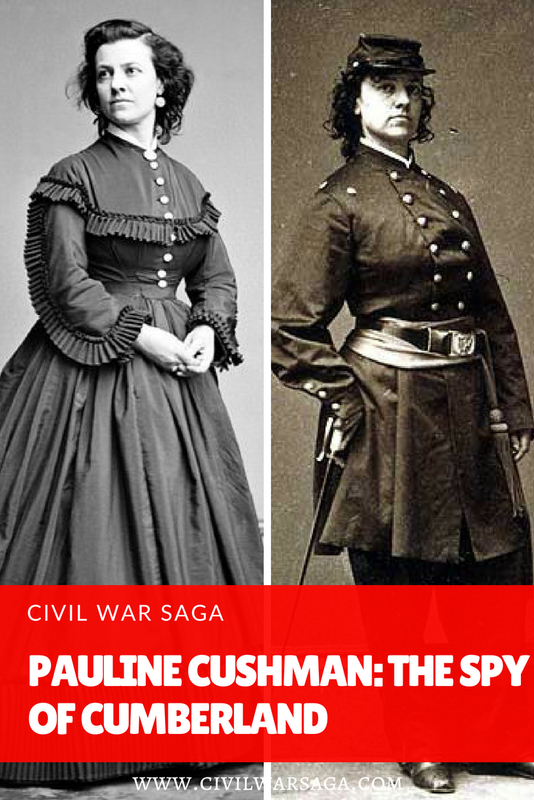 Pauline Cushman was a stage actress who later became a spy for the Union army. 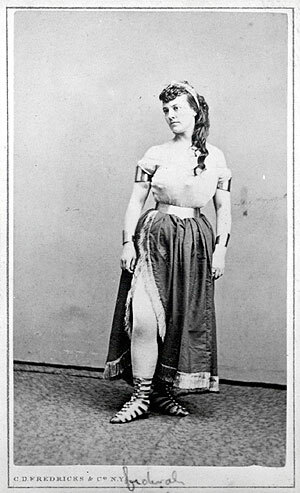 Born Harriett Wood in New Orleans on June 10, 1833, Cushman was raised in Michigan but returned to Louisiana at age 18 to became a stage actress, eventually changing her name to Pauline Cushman. 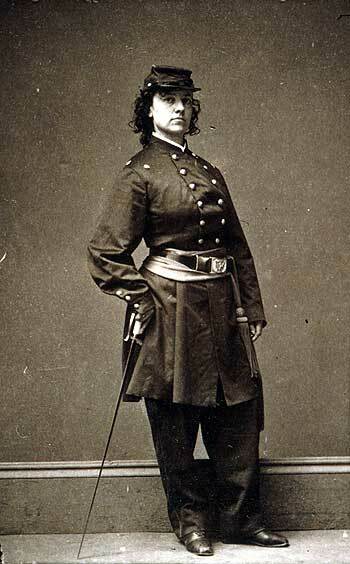 Cushman married her husband Charles Dickinson in 1853, but after Dickinson joined the Union army and died of dysentery in 1862, Cushman returned to the stage in a production of Seven Sisters at Woods Theater in Louisville, Kentucky. It was during this time that Cushman was approached by two paroled Confederate soldiers, Colonel Spear and Captain J.H. 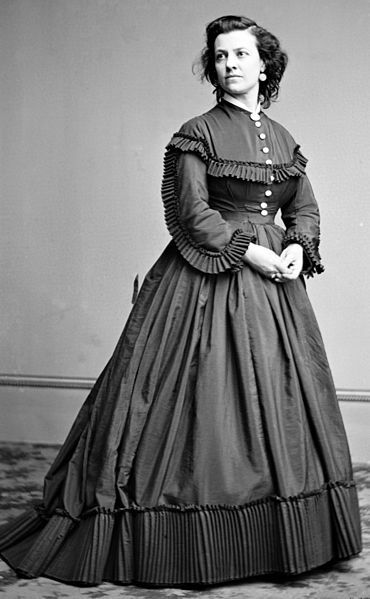 Blincoe, who offered her money to toast Confederate President Jefferson Davis during a performance. Offended, she visited the local provost-marshal, Colonel Moore, to report the men but Moore instead directed Cushman to carry out the toast, in hopes to embed her as a local Union spy. Cushman was promptly fired from the production, since they now believed her to be a Confederate sympathizer. Since she had successfully gained the trust of the local Confederates, Moore offered her a position as a Union spy, which she accepted. Cushman soon began posing as a camp follower in Confederate camps in Kentucky and Tennessee and disguising herself as a man while gathering information from soldiers in local saloons. After visiting the camp of General Braxton Bragg in May of 1863, Cushman even managed to obtain the general’s battle plans but aroused suspicion and was caught. She was tried in a military court and sentenced to death but her execution was delayed when she became ill. Shortly after, the Union army invaded Shelbyville, Tennessee, where she was being held, forcing the Confederates to flee without her. In 1864, Cushman published a memoir, titled The Romance of the Great Rebellion, and began touring the country giving lectures about her time as a spy, gaining so much fame and notoriety that she was even featured in P.T. Barnum’s circus show. Cushman tried to resume her acting career in California, where she married for a second time in 1872, but was widowed less than a year later. She later worked in logging camps in Santa Cruz, where she met her third husband, and moved to Arizona to run a hotel with him. After the marriage ended in a separation in 1890, Cushman moved back to California. Riddled with arthritis and rheumatism in her later years, Cushman became addicted to pain medication and committed suicide by taking an overdose of opium in San Francisco in 1897. She was buried with military honors in the Golden Gate National Cemetery. Thank you Rebecca for this one! Now I know a little more about her. I wonder though about her toast to Jeff Davis. Do you suppose she already had it in mind to be a spy and she did this to gain trust with Southern sympathizers? Woops! Did not finish my web address. Sorry! No need to post this one! Hi Steve, I wonder what her motivation was too. I don’t have a physical copy of her memoir and the digitized copy online doesn’t allow previews. I’ll have to track a copy of the book down and see if she gives a reason for the toast. Thank you so much, I required this for a school project! Have you read my book, Pauline Cushman, Spy of the Cumberland (Roseville, Minnesota, Edinborough Press, 2016)? Hi William, no I don’t think I have. I should check it out! Thanks for telling me about it!